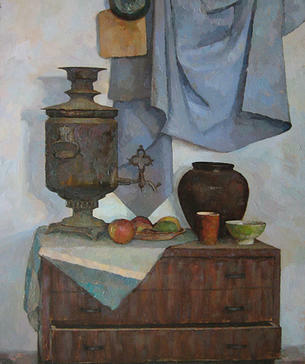 Painting objects, we can tell a lot to the viewer. I draw only a line of an apple contour on the white paper, but viewers understand that this is an object in space. I show by the color the kind of the apple and, if I’ve done this great, the viewer desires to bite it. I can place it in some environment and this will give a new meaning to it.